You've got a lot of things going on in your life. From rising in the morning and charging through the day until you get home and unwind at night, it can be a lot. But when you come home, you’re always comforted by the presence of your pet who helps to make that winding-down process easier. Then the time comes when you want to take a break from the daily routine and go on vacation. You’ve worked hard enough for it. But one important part of your life gets left out with these initial plans – your dog. That’s right. Your dog has been a faithful friend and sounding board for all of your woes once you get home from your workday. They need a change of pace just as much as you do. While airlines have ample provisions and procedures to help pets travel with their masters, hospitality properties for the most part don’t allow furry companions on the premises. This can be a real drag because their dog is a cherished part of the family, and it can entail a lot of time and expense to get a sitter or to put your dog into a kennel or other facility. But there is a growing movement to have more hotels and vacation rentals be pet-friendly. Some companies are taking the initiative to make rooms and properties totally welcoming to you and your furry friends, and that also goes for a few cities and towns around the country. In this regard, there’s many who can totally appreciate the fact that the town of Blue Ridge in the northern area of the state of Georgia has earmarked itself as a pet-friendly town. The area of Blue Ridge is a mountainous one, with rolling landscapes and a robust amount of foliage that simply warms the heart. It’s just a 90 mile drive north of Atlanta, making it a great destination for a weekend getaway or longer. As stated before, Blue Ridge is a highly friendly town when it comes to pets which helps out a lot when planning an itinerary of things to do. One example is the Blue Ridge Bath and Body Company, which is a specialty store right by the local Mountain Mall. They offer bath products for the entire family including their pets. Another pet-friendly place is the Das Kaffee Haus, which is a coffee house that draws influence from the Bavarian past of some of the early settlers in the area. Dogs are always welcome in the outside seating area that has a great view of the Scenic Railway trains passing by. There’s also a special festival, “Paws In The Park” that is all about the pets. It’s sponsored by the Humane Society of Blue Ridge in the month of October and includes events such as a pet parade as well as a costume contest. A recent event addition is a 5K run and walk through the downtown area. Other events held in Blue Ridge that welcome dogs include the Fanning Brewing Company brew tour held weekly. And visitors along with their dogs will delight in the other available outdoor activities, from the 300 miles of hiking trails throughout the area (which include the Appalachian Trail) to hanging out on the shores of Lake Blue Ridge. For those who worry about your pets in case they happen to fall ill while in the Blue Ridge area, there are two facilities that are there to aid in their getting well. They are the Mountain Emergency Animal Center and the Occee Animal Hospital, which have years of offering top-notch veterinary services. When it comes to finding places to stay in Blue Ridge for you and your dog, it’s good to note that many vacation rental companies have worked hard to make their properties amenable for everyone to enjoy themselves. There’s a slew of gorgeous mountain cabins that give guests a true sense of the serenity that can be found in living in the countryside. These cabins range in stature and aesthetic depending on how connected to nature guests may want to be. Some choose to look into cabins that are right by or are situated overlooking the Occee River area, which flows right into the neighboring area of Polk County, Tennessee. Others opt for more rustic cabins that happen to be on the outskirts of Blue Ridge. 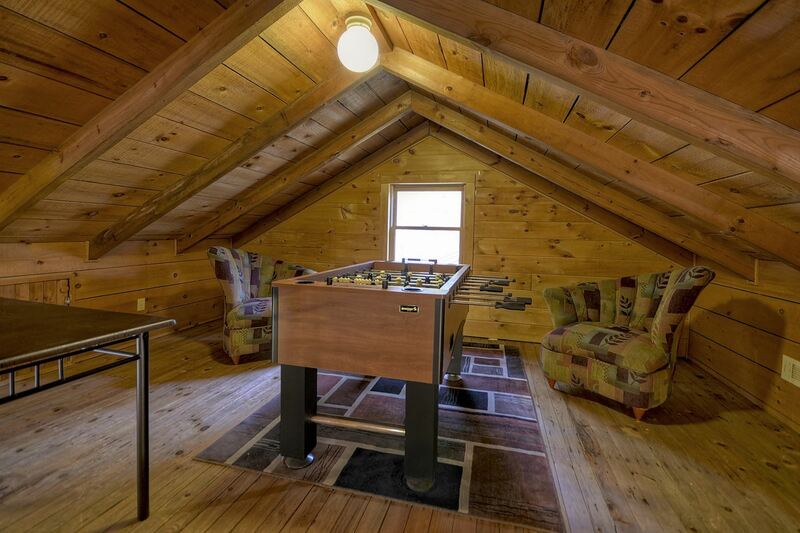 Many of these cabins that are pet-friendly do come equipped with many of the modern accoutrements that one would have in their own home, from washing machines and dryers to fully-equipped modern kitchens. Some even have outdoor hot tubs with patio decks available. 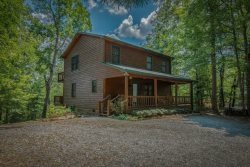 So for your next vacation, treat you and your dog to a wonderful experience that you both deserve need and look into staying in a cabin in the area soon. If you are looking for more travel guides and accommodation reviews, check out Trip101.